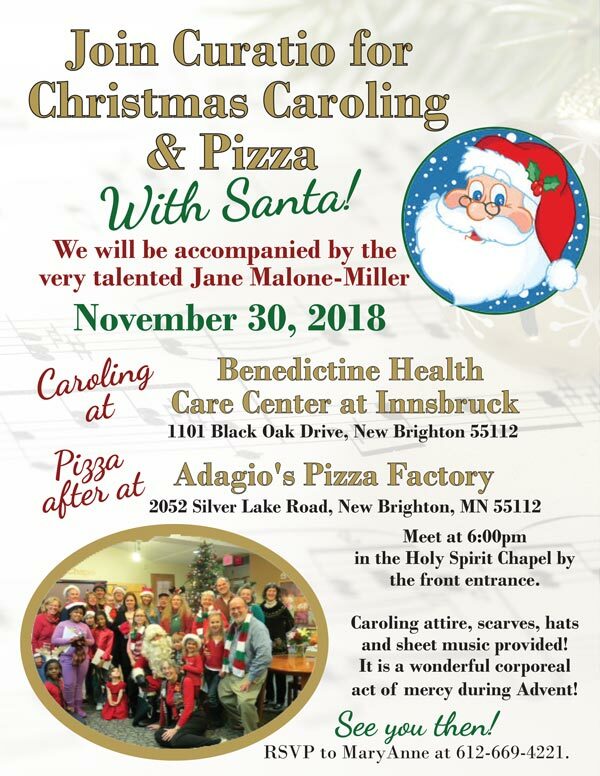 Join Curatio for Christmas Caroling & Pizza with Santa! We will be accompanied by the very talented Jane Malone-Miller. Meet at 6:00pm in the Holy Spirit Chapel by the front entrance. Caroling attire, scarves, hats and sheet music provided! It is a wonderful corporeal act of mercy during Advent!